Credit cards should never be treated as extra income – treating them as such is a very slippery slope. The number one rule of credit cards is to pay off your balance each and every month. If you find yourself at the bottom of that slope, looking up at a mountain of credit card debt, chances are you’re also paying a mountain of interest. If you still have a decent credit score, balance transfer credit cards could offer the help you need. Review all top 10 balance transfer credit cards here. 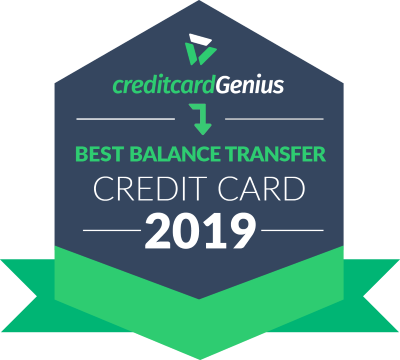 The is our choice for the best balance transfer card of 2019. It offers a great promotional rate of 1.99% for 10 whole months – the best of any promotional offer available on the Canadian credit card market right now. And, since this card has no annual fee, you'll save a little more money that can be used to help pay off your balance. If you're unable to get your balance transfer paid off in 10 months, you'll be required to pay 16.99% interest on any remaining balance. So, if you're looking for cards that will relieve high interest rates permanently, the or the would be the better option. Looking for a card that will offer you a 0% interest rate on a balance transfer promotion? The will do just that. As part of signing up, get a promotional rate of 0% for 10 months. It's rare to see a 0% promotion for balance transfers. Then, once the promotion period is up, enjoy a permanently low interest rate of 12.99% if you haven't yet finished paying your balance in full. For no annual fee, it's easy to see the appeal. Want a 0% balance transfer offer, but also want a lower permanent rate afterwards? Consider the . You'll get a 0% balance transfer offer for 6 months. After your 6 months are up, enjoy a permanent low rate of 8.99% on both balance transfers and purchases. This way you can still save on interest if you haven't finished paying down your balance. Do not use your balance transfer card for purchases until the balance transfer promotion period ends otherwise you will be stuck paying full interest on those purchases. When these promotions are up, interest rates go back to their usual 19.99%+ (unless they are permanent low rate cards), so be sure to pay off the balance of your Balance Transfer card before the promotion ends. Pay your minimum balance on time every month, otherwise you could lose your promotion and end up paying the full or even higher penalty interest rates. And so, for this best credit card ranking, our focus shifts towards getting you the maximum annual interest savings. Because no rewards or perks are worth incurring debt. Check out these balance transfer cards, ranked based on annual interest savings – then decide what features matter most to you.